0302_evlo_evmbfire0228: Singles: News-Editorial: Award-Winning Evansville Photographer: Molly Bartels specializing in editorial, wedding and art photography in Evansville, Indiana. "I'm just really proud of him. I always know that if there's a fire he'll be on the inside not on the outside. The people are in good hands," said Deborah Spindler who with her daughter, Jana, watches as her husband, Don, is interviewed by local media after receiving an award with three others for their heroics in saving two small children from a house fire last fall. 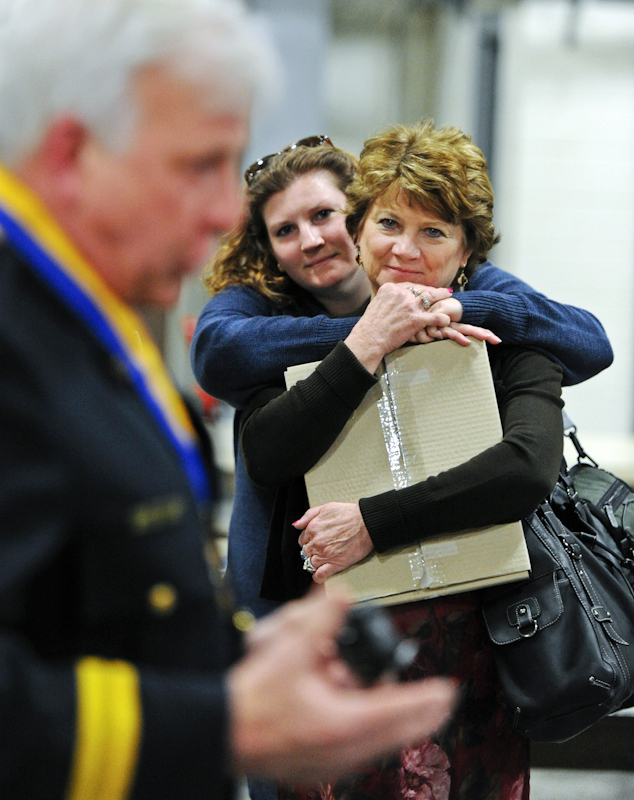 Spindler clutches her husband's award after the ceremony at the Evansville Fire Department building on Thursday, March 1, 2012.